Founded in 2004 and headquartered in Austin, Texas, AllClear ID provides identity protection services to businesses and organizations. AllClear ID identity theft monitoring and credit monitoring services include identity repair, identity theft monitoring, phone alerts, AllClear investigator support, identity theft insurance, lost wallet protection, and ChildScan monitoring. The company is also partnered with the National Cyber-Forensics & Training Alliance (NCFTA) to provide enhanced identity theft protection. AllClear ID works to protect its customers' identities by offering a number of monitoring services, including monitoring of credit reports from all three major credit bureaus (Equifax, Experian, and TransUnion), financial account monitoring, social security number monitoring, and ChildScan monitoring. If suspicious activity is detected, AllClear ID has the ability to place credit freezes and issue fraud alerts to the customer. In the event of child identity theft, AllClear ID will send an alert to the child’s parent/guardian, conduct a full investigation, and will help repair the child’s identity. If a customer of AllClear ID becomes a victim of identity theft, they will be covered by the company's $1 million identity theft insurance policy, which reimburses customers for expenses and financial losses related to the theft, including up to $10,000 in lost wages. AllClear ID is a Certified Information Systems Security Professional. To earn this certification, companies must have several years of experience and pass the CISSP exam. The company does not require customers to enroll in order to obtain identity theft protection services including identity repair. Those who are employed by businesses and organizations that have paid for AllClear ID’s protection service can have the opportunity to get full identity theft protection coverage that includes everything from credit report monitoring to data breach response protection and identity theft repair. AllClear ID's restoration services are limited to financial identity recovery and lost wallet assistance. The company does not offer medical, criminal, or tax identity recovery services. Additionally, it is unclear whether or not AllClear ID helps individuals with pre-existing conditions or utilizes the limited power of attorney. AllClear ID no longer allows potential customers to purchase identity theft protection services on its corporate website. The company’s identity protection services are now completely paid for by businesses and organizations. AllClear ID services are only made available to those who are employed by the businesses and organizations that have purchased AllClear ID protection. Interested businesses and organizations must reach out to the company for more information. AllClear ID does not provide its customers with antivirus software to protect sensitive data on their personal computers. Meanwhile, there are many other companies in the identity theft protection industry that do provide antivirus software to their customers. Those interested in AllClear ID services should take this into consideration as they will have to purchase their own protective software if they use this company’s services. AllClear ID is CISSP certified, offers several monitoring services including credit monitoring, financial account monitoring, social security number monitoring, and ChildScan monitoring, and provides customers with up to $1 million in identity theft insurance. The company is also partnered with the National Cyber-Forensics & Training Alliance (NCFTA) and does not require customer enrollment. Unfortunately, the company does not allow potential customers to purchase its identity protection services on its website. Instead, customers must obtain AllClear ID services through businesses or organizations that have already paid for the company’s services. Additionally, AllClear ID's identity recovery services are limited and the company does not provide customers with any antivirus or other protective software for any devices. Do Not Use ALLCLEAR! What's clear about it is there a scam company telling me that they had a security breach with HAP insurance and that my information may have been breached with a bunch of possible outcomes, they asked and verified my name ., the funny thing is that I don't have HAP insurance to begin with!, they asked me first to spell my name which I told them it was Linda and she asked me to spell it for her so I did and this is how I spelled it LINDEA ....(Really)... and then she verified that she seen me! (What????) Really somebody out there has spelt Linda that way ! Lol all they wanted to do is tell me they could sign me up for free and that all clear would be picking up the bill for one year., mighty nice of this company since the only thing clear about it is not to join this company! You're ALL CLEARly wasting your time and your money! They are very rude people, they offer fraud alert features that allow the customer to easily turn ON, but they do not make it easy for the customer if they need to turn off. The service seems very unhelpful. I was gifted free all clear serivce for 3 years. In that time I was promptly contacted if there were any issues. I open a few things during this time and I was always notified by email and phone of the activities on my account. Very professional. I also got an offer because of a breach. Turns out I was registered with them from another one a few years ago. Obviously, they don't do their job because it only expired this past January and during the time it was supposedly in effect, I opened several credit card accounts. Never heard a thing from them! So when I called today to sign up, it took forever to answer simple questions and to ask if they purge or wipe your information after you leave them. Was transferred to their "fraud department" as sales person could only read back their policy info and couldn't answer the question properly. They also only monitor one credit reporting service, so that's not very useful either. Long and short, I finally was transferred to a "fraud department" supervisor who said he had to put in a request to purge my information from their system. He offered to confirm via email and let's hope he does. I really don't want them to have my SS# or any information. OMG these people S^$# I cannot for the life f me reach a human being either on line or have them call its all automated. The fact that the US Govt conracted with these idiots should be investigated. It was free to me due to a data beach at my agency another non-quality beltway bandit outfit! Worthless. I got their service free because of a security breach at another company that had my credit card. In the meantime, someone applied to get a credit card in my name from California, even though I live in Texas. Apparently that wasn't enough to raise an alert. Thankfully the credit card company sent a confirmation letter to my address. Got a call today from All Clear to tell me there was new activity on my account...credit account opened at a certain bank. That happened 4 months ago. How is this going to help me? I got this service free because of the anthem breach. I fell for the whole your identity is safe bull. About 6 months ago my identity was stolen 7 account in 4 states in the amount of roughly$20,000! I monitor my credit through a free service and found the hard inquiries. I was livid when three days later I was notified that everything was fine and there was nothing to report. I still haven't received an alert or anything saying there is or was a problem. I even froze my credit through all three bureaus. I did receive an email today asking if I would like to buy their service. I'm amazed that they are still in business! I guess it is true there is a sucker born everyday! My suggestion is run from this service! Your better off going at is on your own not to mention more protected. I did not think all clear was doing a great job because it notified me about my (legitimate) Macy's card application after about 3 weeks, when I had starting using it the first day and racked up hundreds of dollars! But months later, when someone else fraudulently applied for Barclay's card in my name, they caught it right away and called me/e-mailed until I responded. They got oin the line with Barclays and me, where we talked through everything, had the application stopped. They then advised me how to put aletrts in with all the credit agencies, sent all the paperwork, etc. I found this very helpful-- saved me tons of time & money. Their contract is onerous. I was never informed of the insurance limitations until after I asked questions about the claims process. They insist I speak with AIG and will not take responsibility for any claims. They are unable to fix my ID issues as promised. Prior to the contract they guaranteed it. Once I have requested it, they indicate it can't be done. My claim is sitting in their hands for over 5 months. They claim a $1M policy, but there is no mathematical or logical way to achieve that. They only grant up to $1000 for lawyers which in an ID theft situation can take 10s of thousands of dollars. Been with them 9 months and only received 3 monthly reports which I had to personally request. I get faster alerts from other sources than AllClear ID. Will not provide a clear path for a resolution on any of their processes. When I asked to correct issues with the IRS they had to go "find" someone who knew something about it. When I spoke to AIG it took at least 30 minutes for them to even understand that they had a policy with AllClear ID and that I had a claim filed. No one out of 4 people could provide me a status of when it would be paid. Received free protection from Anthem, but only covers one bureau. and would expire in May. Received another free protection program from UCONN that covers all three, but would expire in February. Would not give the better program through February, and then let me switch back to the Anthem program through the remainder of the time. Seems All Clear is being compensated for their service by two different companies, but won't provide the services they have been compensated for. Their notifications are junk, and out of date. Certainly wouldn't give my money to them after the subscriptions provided to be expire. Just cancelled my account with all clear. USELESS They just called me with info that was 3 months old, and acted like interrogation experts. In speaking to me, I was treated like I was a scam artist. Use a more reputable company if you feel the need to need this kind of service. I am registered with All Clear Pro and had not received one notification regarding credit applied for with my identity. The agent at ALL CLEAR ID was less than competent. so I asked for a supervisor. I was put on hold and then this same person comes back and said she has been waiting long enough for a supervisor and can't help me any longer and that someone will call me back.. I told her I would hold and she says she has been on hold long enough for a supervisor and that she can't hold any longer. Got no where!!! Not worth the expense to have this company protect your lawn!! Because Transunion was the first to post the fraudulent inquiry, I was notified the same day. I got AllClearID free due to the Anthem BCBS Breach. My primary complaint is that there is no case agent assigned (no one I can call) and I am pretty much on my own with no help. I receive one call (Caller ID said "unavailable") but the caller's accent was foreign and was impossible to understand. They left an number to call back. Even the paperwork sent to me after I reported the ID Theft has no name nor number for me to call with questions. Definitely would not renew with them after the free period. Signed up for the free service after the Anthem breach. I got a few All Clear emails and then the day after I had a credit pull for new cell service I received an account activity report. After jumping through hoops which are too comical to go into I still haven't found out what the recent activity was. Online or customer service it makes no difference, they have provided me with no useful information. I'm angry and this service was free, imagine if I paid for this. What a joke of a company. Compare these reviews with the reviews on their web site. Ridiculous. After multiple emails, phone calls, and visits to their website, I am frustrated. Their phone answering system cannot recognize keyed-in numbers. Their website doesn't recognize my new password. I spent over 20 minutes simply trying to find out what the new message was--it turned out that All Clear finally noticed I set up a new mortgage--several months ago. Monitors only one credit bureau. Notification is not timely, customer service experience is very awkward. Notification mechanism (voice mail to phone, call back, etc) is like a wild goose chase. All of these are deterrents to service. Compared to other choices available, this service is not worth paying for. The "alert system" is so user UNFRIENDLY!! After three phone calls to try to get information about an "alert", They finally told me of a new loan account that had been set up. The account IS legit, but it was set up about a month ago. Someone could have set up loan in my name falsely and I would NOT have known for about a month!! NOT very good "service"!! I could NOT recommend All Clear to anyone! This company belatedly emails me whenever I used my credit card. I also got them free from Home Depot. Yesterday, I had a voice mail saying,"Christine Torres, this is the Dallas. County Court System and a civil and criminal summons will be issued for you this week. We are calling to verify where you would like to be served. The summons will tell you the time (message ran out)." I pressed Call Back on my iPhone (my name is not Christine Torres - not even close!) , and the callback was answered by AllClearID! The callback number (855-434-8077) is the number they provide to call if you have problems. I agree that a class action should be filed. AllClear is not a good company ( although I feel sorry for the customer reps) and if they are pretending to have Court System Summons, that's some pretty serious fraud. The rep said they must have been impersonated by someone using that number! How secure is that?! I think they'll fake summonses to get scared folks to call, as their customers from the Home Depot breach are about to expire. Just terrible and unethical. I feel less secure now that before I signed up for this "service". WORTHLESS I signed up for a new credit card 2 months ago & just received the notification of it yesterday. If this had been fraudulent, my new credit card would already be maxed out by a criminal by now. When I called All Clear about this, they said that their policy is to report it to me within 2-8 weeks. What good does even 2 weeks late do. Criminals move faster than that. Also the customer service rep from All Clear said that Credit Inquiries are reported within 24 hours. When I asked why they didn't tell me about the credit inquiry that I saw on my Experian from 2 months ago, she replied that they use Transunion exclusively. What good does that do? The criminals aren't limiting themselves to only attacking companies that use TransUnion. ZERO Similar story to many others. Following the Anthem breach I was able to sign my family up with minor difficulty. A month or so later they flagged suspicious activity on my minors SSN that they could not discuss with me. The told me that I would be contacted by Transunion within a week, and a fraud specialist would be assigned to our case. A month later I called to find out why I hadn't heard anything. I was told that Transunion was backlogged and they would move my claim to the top, I would hear shortly. After not hearing anything, we are three months into this. As of my call to them today, they have changed the protocol for dealing with activity on a minors account. They did so without notifying me. I full expect they are going to change the protocol for the next 2 years until anthem is done paying them. I have email correspondence from this entire process. The customer rep I spoke with this time was flat out lying to me. When I called him on it and referenced the emails that I have in hand, he said that it was my fault for not following the instructions properly. The original instructions state that a Transunion rep would be in contact with me. Now I am being told that I have to send a bunch of personal information about myself and my child to Transunion by certified mail. This will initiate the beginning of the investigation. Basically you may as well run checks on yourself and your children on your own. It's basically the same end results with less frustration and less time spent on the matter. ABSOLUTE ZERO After my wife just setup account and used her voice to create a unique ID, I added my phone number and their system called me to verify it. I had to provide the voice print verification phrase - supposedly in my wife's voice. We don't sound anything alike but it accepted my voice anyway. We also got this free from the Home Depot breach. AllClear ID/PRO company is completely overrated. I have the same horrific stories like everyone else. Athem recommended this company and it has been a journey to say the least. Supposedly AllClear ID found some suspicious activity under my minor child name. Once I received the request to submitt mine and my child's personal information via U.S. mail to a Post Office Box. I called AllClear PRO 1 month after I mailed those documents to Trans Union. Did I get anwhere,absolutely not. I was supposedly speaking with investigators who are dedicated to assist you. I even had on of there investigators tell me that "my documents may have been intercepted, that is why they have no information that Trans Union received them",what!!!!!! I finally researched the internet and located a phone number to Trans Union and the representative provided me with my file#. Once he gave me my file number he then instructed me to call the Trans Union Fraud Victim line 1-800-680-7289. I provided my file number and the representative acknowledged receipt of what I sent them on 04/24/2015 and my minor child is under the fraud prevention alert until he is 18. Now why when I called AllClear PRO today there records do not show any response from Trans Union is beyond belief. Reach out to the VP of AllClear ID/PRO Jamie May,823 Congress Ave,Suite 300, Austin, TX,78701 regarding your dissatisfaction. My medical insurance company was hacked and provided me with AllClear ID coverage. Home Depot was hacked several months later and offered AllClear ID coverage. When I submitted my request to All Clear they gave me a phone number to call saying that I was already enrolled but could extend the coverage. I called the number. After explaining the situation 3 times to the person who answered the phone, they got a supervisor who was pushy, did not listen, was condescending and said it was Home Depot's problem. She could not understand that All Clear told me to call them. I'm sure I'm not the only person in this situation. The people answering the phones at All Clear have no idea how to handle it. Who did the write up on AllClear? I am part of the Anthem security breach and Anthem chose to use AllClear. All Clear blows huge chunks. I've had several ID issues including my minor child. My issues: first one on April 4 second one on April 17 third on May 17 I rec'd calls from All Clear, asked for and told an investigation has started. Only recently did an investigator (supposedly an investigator) call. Now, when I signed up, All Clear recorded my name and a security phrase. They tell you it WILL BE played whenever they call. And for each 'initial' call on the issues listed, they did play the recordings so I know it is All Clear. However, when this 'supposed' investigator called, no recordings. I was told they do not have that in their process. I insisted I need to verify their identity but all they did was press me for mine. I confirmed later via customer service a call was made but can't get them to engage. Appalling service. My daughter has been breached on her ID. They asked me to send in several PII pieces of info like my state ID, copy of her SS card. All via snail mail (nice and secure right?). That was back on May 11. TransUnion called to see if I had questions. They were alarmed when I said I have no info on the breach. I mailed my info as requested but nothing further. All Clear was supposed to send me details of the breach and inform me a lock was placed on my daughters credit until age 18. I asked TransUnion if the lock is on and they replied no. They are waiting on me. I've used a few of these credit monitoring companies and while I was not impressed with a couple, they look stellar next to All Clear who, in my view, look like they operate a clown car. AllClear takes several weeks to alert you AFTER an account has been opened. At that point it's way too late and the damage has been done. I will never ever pay for AllClear services as they are a cheap service that has no true protection notifications. Thanks Anthem for signing up with a total bottom feeder company! AllClear is pitiful. Put this stuff online so we don't have to suffer through pitiful phone methods. Have alert but can't get to it. Like so many other reviews their pitiful system doesn't recognize the phone number I entered. Even though I am looking at what I entered on phone LCD it says invalid area code. Tried cell phone. System recognized phone number I entered (yes same one I entered on land line). But still can't get to alert. WORTHLESS! Agree with everyone elses that was impacted by Anthem breach - AlClear is a joke and totally worthless. We need to get invovled in a class action suit against Anthem for a) failing to have safeguards even though their own IT team advised them of the need b) failing to provide appropriate protection for those impacted c) committing fraud by informing those impacted that they have 24/7 credit monitoring coverage. It is interesting them have protection for medical information and it wasn't impacted but couldn't extend it to all your personal data. Cheap, cheap, cheap. Per AllClear they only use ONE credit bureau to search for activity: TransUnion. Hey there are THREE credit bureaus. What about those? They also subscribe to only do a once a month sweep. Costs to much to actually have daily monitoring hence the weeks before notifying of activity on account. AllClear has no means for you to access your alert without taking a day off from work to call them in person during their business hours. Completely worthless company. Yet another Anthem breach victim here. All the other reviews match my experience. This is garbage. Anthem probably got this service cheap just so they could state that they protected their victims. This protection is a joke. THE PROVIDED ALLCLEAR ID "PROTECTION" DOES NOT WORK. 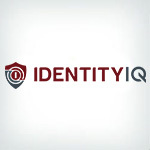 YOU ARE STILL VULNERABLE TO IDENTITY THEFT RISK BROUGHT ABOUT BY THE ANTHEM AND HOME DEPOT DATA BREACHES. IF YOU ARE TRULY CONCERNED ABOUT IDENTITY THEFT, YOU MUST BUY IT YOURSELF FROM A REPUTABLE COMPANY WITH YOUR OWN MONEY. Terrible. A huge waste of time. There is conflicting info on Anthem site and AllClear site. Anthem says each adult must enroll individually. Apparently AllClear expects everyone to enroll on same form. Got a enrollment confirmation, non for wife. Called customer service who told me wife was manually enrolled, still no confirmation e-mail. Got phone call saying wife has allerts, I don't. Supposed to return call. The automated answer asked for last SIX of ssn. Yeah, I suspect phsing, but who knows??? Dismal! Terrible so far! I was alerted to the possibility that my minor child may have been a victim of fraud. Since that alert, I've been running in circles and getting nowhere with this company. They do not use just one main, verifiable phone number or mailing address. I eventually discovered that they outsource to a company called Serco Global and that company's reps barely speak English. One rep asked me for our address and then wanted me to spell out our state for him *sigh*. I have to agree with the other reviews- I don't feel secure with my family's sensitive information in the hands of such incompetence. Anthem touted that we would be taken care of by this company in the event of a problem. What a crock! Agree with other reviewers, took us from Dec until March to get properly signed up; found out we had a 'potential' fraud situation and have been working ever since to try to get someone to tell us what that means. Finally got a letter from Transunion stating "we have taken steps to protect identity" why? what happened? when? by whom? No answers. And, what does it mean "taken steps"??? No answers are provided, just letters in the mail giving us more questions and confusion. Difficult to get anything but generic answers on phone. I will start phone calls again on Monday. I also agree with previous customers, AllClear phone support writes up problem, gives a problem/confirmation #, says to wait 3 business days for call back; call never comes; I re-call... (repeat process...) I almost feel less secure with all my personal information in their hands. I was hoping AllClear would be a stress reliever; it has been anything but... I hope this company and the process gets better. I wish I felt as secure as I was initially led to believe I would be. I receive a call and a text message telling me there is activity on my credit. It turns out I opened an account 5 weeks ago. That is not fast or quick at all. AllClear flunks its first test with me. AllClear is not worth it (even if it's free). I actually feel less secure with my info in their hands. Just a few problems I have with them: They don't list a customer service email, just a phone number...we all know how fantastic it is to call a support line and speak with someone who doesn't have a clue. I recently received an email from them requesting additional information for my account...I tried to update the info (SSN) three times on their website, and in the process got numerous (at least 4) "we're sorry, try again" later messages at various stages, had to go through an exhausting login procedure each time which includes a phone call verification (and full number with an animated red circle displayed on the site), had my pin read out loud over the phone by their automated system (for anyone nearby to hear), and had my FULL social security number displayed on my computer screen for no less than seven minutes (for anyone nearby to see). Just in case you were wondering, no I never was able to update my account (maybe for the best). To add to this awesome experience, I tried replying to the original message for help...but it was a "donotreply" address of course, then I tracked down a previous email from them that had a convenient "don't hesitate to contact us directly at" and listed a support email address...I've tried that address twice, each time resulting in a "Mail Delivery System...delivery failed...Recipient address rejected: undeliverable address" message. Pretty impressive. This company is TERRIBLE. My private confidential data was stolen from my insurance company, Anthem, and Anthem paid All Clear ID to deal with me over THREE months ago and All Clear ID STILL refuses to provide any services whatsoever to me, even after my US Senator wrote a letter to Anthem on behalf of the 770,000 victims of the identity theft from my state.By not providing any services whatsoever to the 770,000 VICTIMS in my state, All Clear ID is making MASSIVE profits for providing NO services after being contracted by Anthem to do so.All Clear ID's employees refuse to properly identify themselves, refuse to connect callers to their supervisor on request, refuse to disclose the city they are in or their employer's corporate name and location or agent for service of process.Yet they ask us VICTIMS for OUR social security numbers and addresses and date of birth and other personal information when we have NO CLUE who we are speaking to when they call us, or when we call them.They often hang up on me when I ask to speak to their supervisor. They have NO problem resolution department, no ombudsman, no customer service manager, no administrative liaison. The employees speak with foreign accents and are likely in another country as they apparently have never had any training in American call center industry "best practices" or active listening skills or problem resolution skills.This company is apparently an organized criminal enterprise engaging in deceptive practices on a massive scale. Even the NSA and CIA and White House will let you speak with a supervisor if you have a complaint about their employee -- NOT All Clear ID.There is NOTHING about this company that would merit even a 1 rating on a scale of 10. They are with absolute certainty worthy of a ZERO score.Anyone who would like to join in a class action lawsuit against this company and Anthem Health is welcome to contact me. Unable to sign on to the website. I can enter name and password. Phone rings. I enter my 4-digit password. Am told "I didn't hear 4 digits". Called several times to report this problem but after several days it is still happening. I received one year free membership to this company from Home Depot. Only three months later I was victim of Identity Theft, two accounts were opened under my name but I still keep receiving a monthly email from AllClearID "No suspicious activity detected". Really? !I have tried to search for a contact information and the only thing is a physical address in their website. No online or phone customer service?I had to do all by myself, contact the credit grantors, check my credit reports, file police reports, dispute discrepancies, etc.Incredible, what a ripoff. I will never pay this company for any kind of protection. I got free service from Home Depot breech. Got an alert but it was painful trying to retrieve it. Their system didn't recognize my phone inputs. No option to retrieve from the Internet. I certainly wouldn't pay for this service. great customer service however - I received an alert from All Clear about activity on my account - only to find out they had just discovered a new credit card account in my name - that I had opened 30 days ago.30 days is not exactly "on the ball"
Home Depot breach no cost credit monitoring contractor AllClear ID; 855-252-0908 HomeDepot #1, AllClear ID #2. HomeDepot is liable for not qualifying the service contract. AllClear is fraudulently reporting payment activity (Transunion only) as "Monitoring". Like many reports here, I opened a line of credit, made 1st payment, an many weeks later, got an alert. Current Home Depot ticket #54074851 on event. Phone call to AllClear, they hung up in defense, to my carefully thought challenge, "if I had not opened the line of credit myself, the thief would not make a payment, that triggered the alert, the line of credit would quickly be drained, hence AllClear's fraudulent service claim, no monitoring, just limited reporting/feed. I think a smart professional would easily pick up this case, these two company's should be made an example of, class action, on the publics behalf and current state of personal and financial information breaches everywhere. AllClear backed to wall, claims an original alert (somewhere), while HomeDepot is still reviewing, weeks later. My event claim, was posted on AllClear's customer support survey as well. Useless, Anthem breach victims given one year for free, can't get through automated system. It does not "hear" the phone number you enter so you can hear your alerts!